Even though PVC membranes makes a great flat roofing and it is installed by a professional network of commercial roofing contractors, it can be susceptible to hail damage. In this article you will learn why the membrane becomes hail damaged, how to spot hail hits, and who is to blame for hail damage. 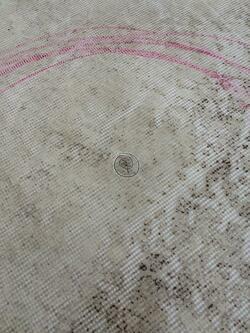 The best way to describe hail damage on a PVC roof is in terms of a fracture rather than a puncture or tear. PVC membranes are highly puncture resistant and almost impossible to tear but with large enough hail, usually at least 3/4", the membrane can become fractured from the impact. In many cases it can take between 2 and 3 years for the hail hits or fractures on the membrane to develop into leaks. Over time water enters into the hair line cracks and through the process of freeze and thaw and material shrinkage, the fracture opens enough to allow water to penetrate through. Some PVC membrane roofs are more susceptible to hail damage when it falls straight down as opposed to being wind driven. The flat roofing material will also perform better when installed over a harder surface rather than a soft one. Dense Deck, Secure Rock, Invinsa board and even a very hard surface like plywood cause hail stones to bounce off and this greatly reduces fracturing. Softer surfaces like ISO board or EPS fan fold allow the hail stone to stretch the membrane down further into the roof causing a greater change of cracking or fracturing the membrane. Another important factor is membrane thickness and the age of the roof. As the membrane ages, the plasticizer fade and can leave the membrane slightly more brittle. When hail strikes a PVC membrane roof with enough force to cause damage the fractures will usually appear in the form of small circles. Often times a small circle will be inside of the slightly larger circle. Crack or fracture in lines are not haildamage. 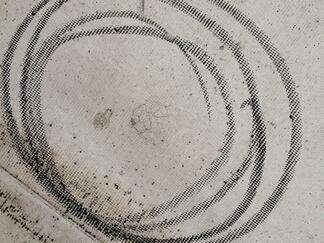 Not every circular fracture you find will be a fracture that has penetrated all the way through the membrane. Some membranes are basically a top and bottom layer of PVC material separated by a reinforcement middle layer of woven thread called scrim. Often the fractures and cracks are limited to and will stay just on the top layer of PVC. To determine whether or not the hail hits have cracked the entire membrane and becomes leaks is to squeeze the area around the impact site to see if water can be forced out of the fracture. If moisture does come out of the crack you are dealing with a roof leak. This technique will only work after a rain has been allowed to enter a roof system. Performing this type of test during a dry period will lead to inaccurate results. So Whose Fault is it Anyway? Hail damage is considered in the roofing industry to be an "act of God" and usually falls outside of standard warranties unless otherwise stated. Roofing contractors and flat roofing membrane manufacturers alike see hail as an insurance claim rather than a defect in the roofing product or in the installation of the roofing product. 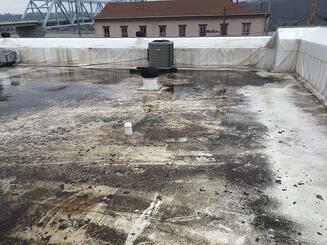 Most insurance policies on commercial buildings do cover hail damage. If you suspect that the roof has been damaged as a result of hail it's usually a good idea to have your roof inspected by a trained roofing contractor before you file a claim with your insurance company to be sure you are in fact dealing with hail damage and not a leak or damage caused by a third party. Catch hail damage early in routine visual inspections of the roof. Many times a roof can be leaking without showing symptoms of a leak inside the building. 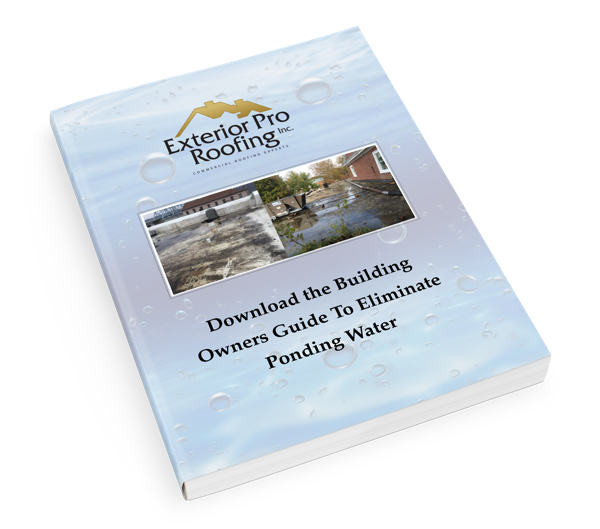 Hail damage can cause ponding water on flat roofs, see how polyiso can eliminate this problem.